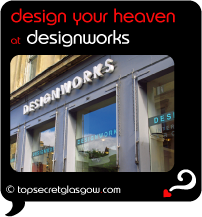 With Glasgow's heritage in art and design, and the wall-to-wall make-over-TV schedules not many will be surprised that specialist interior design shops have sprung up all over the place here. And fine places they are too. I was once a keep designer myself so I have more than a passing passion for these little shrines to design. They all over the city in both regular shops and studios tucked away in old warehouses and outbuildings. Expect to see quite a few unfolding secrets here as time goes by. Grab our [RSS] feed or subscribe to our [ezine] to keep in touch with what's new. Great news! Finding this page means you can now join our VIP list for SHOP for Interior Design. Time to grab your very own page for SHOP for Interior Design. Do you have a special story about a time you decided to SHOP for Interior Design? A funny experience? A grand occasion? A funky photo? A personal tip? A top secret?